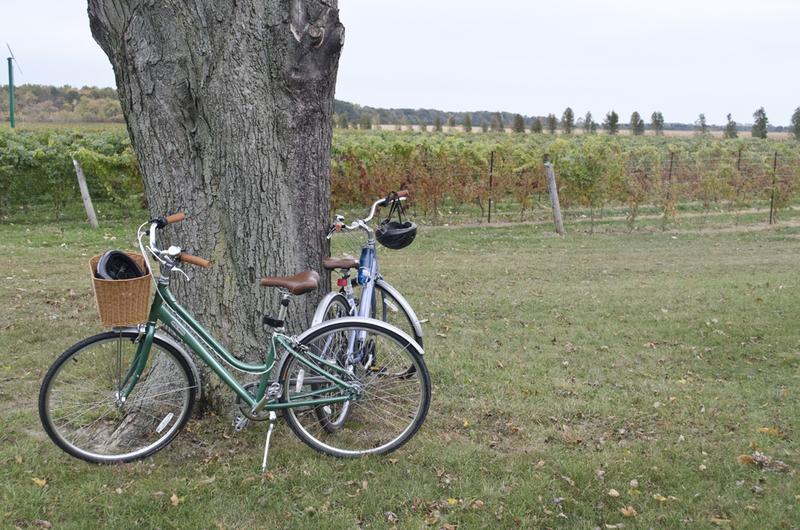 WindsorEats is proud to be the only award winning bike tours exploring the Essex Pelee Island Coast wine region. Named as the best culinary tourism experience in Ontario, along with being one of our country’s best by winning a Canadian tourism award, we’re proud and honoured to say those awards help showcase the quality experience we provide each of our riders. 2. Love a great meal? You don’t know what you’re missing! Our Wine Trail Rides aren’t just about cycling and wine. At the conclusion of each tour, riders will sit down at a long table beautifully decorated with antique dishware and beautiful table settings. Here, they will enjoy a completely locally sourced meal that will knock their socks off. ‘What will you be serving’, you ask? Well, it’s a surprise! To ensure our meal is as fresh as possible, we gather all the items available for the meal the day before, ensuring everything is as fresh as possible. We’ve had gourmet meals that have included lamb shanks, prime rib roast and more. 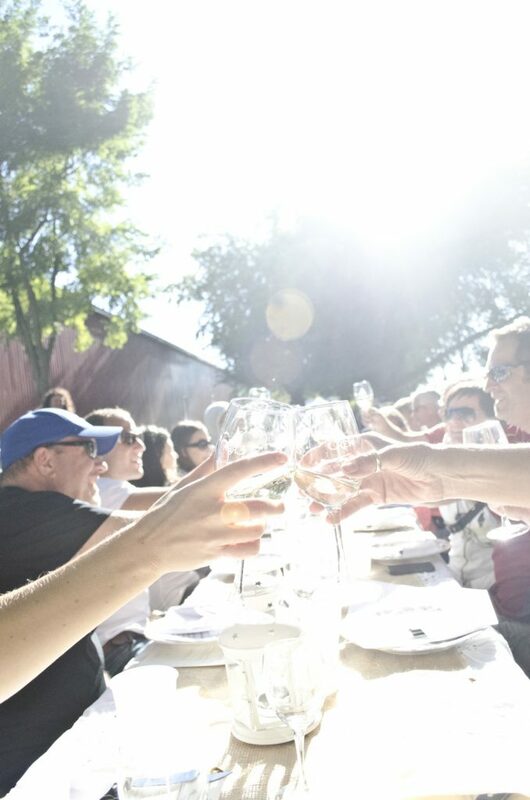 A Wine Trail Ride is the perfect excuse to get together with friends or family you haven’t seen in a while and get to chat in the sunshine over some drinks. 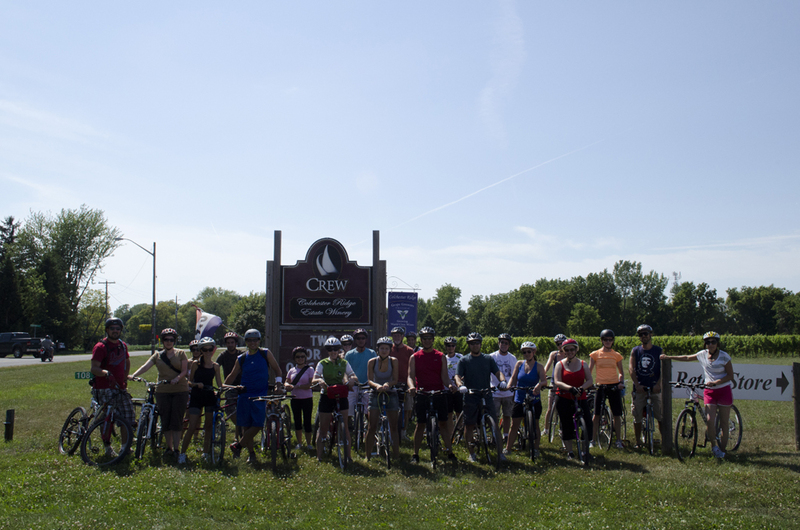 Also, because it’s a group ride of up to 50 people, it’s a great way to meet new people, too! A majority of the small, boutique wineries we visit are not found in LCBO stores across the province, let alone exported elsewhere. The only place you can get them is by visiting them. Lucky for our riders, we have a support vehicle trailing behind that they can throw all their purchases in. It’s a great way to impress your friends at a dinner party you’re hosting with some fantastic award winning wines they may never have tasted before. 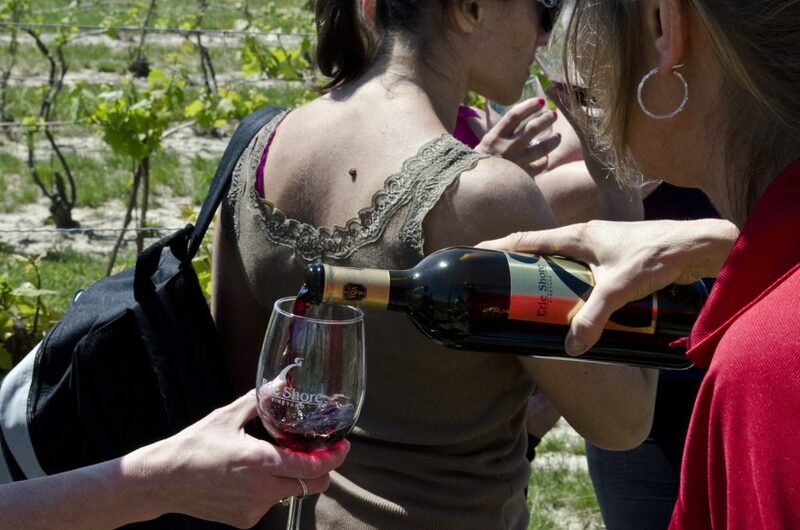 Release that inner wine snob. Each month, we switch up the routes on our Wine Trail Ride allowing repeat visitors the opportunity to enjoy us with a brand new experience each time they visit. Some rides we ride along the scenic County Rd. 50 which runs alongside Lake Erie while the next we travel on the historic Greenway Trail with tree canopy overhead. From passing by apple orchards to being dwarfed by windmills, no matter what route you choose the scenery is gorgeous. Our Wine Trail Rides regularly book with the maximum of 50 riders who come from all over Ontario, the United States and the world. We’re even being promoted nationally by some provincial and national tourism organizations as a must-do experience. You don’t want to be left out while everyone else is talking about what a great time they had on a Wine Trail Ride, do you? Yes, we’re resorting to peer pressure. You know you wanna do it! 7. TripAdvisor loves us. They really love us! As of the creation of this post, our Wine Trail Rides are listed as the #2 activity in Windsor (we’re gunning for you, Canadian Club!) with a 100% recommend level. No, not the smoochie smoochie couples. We’re talking about our feathered friends, here. 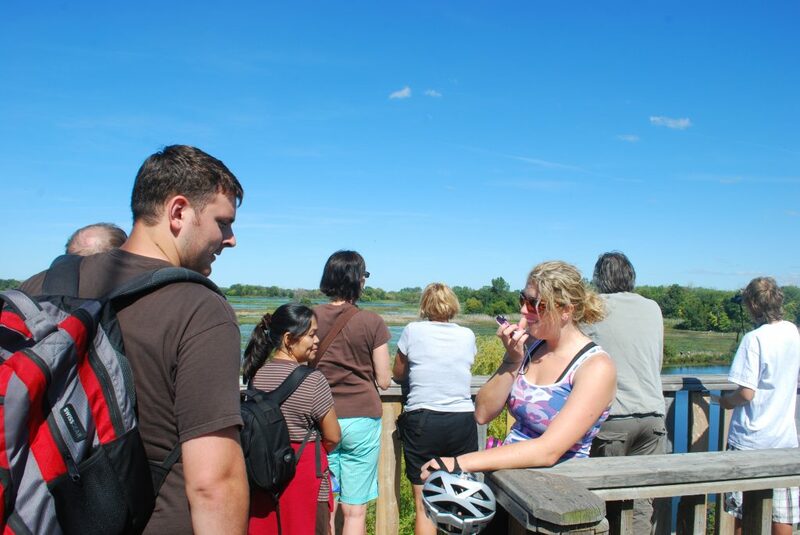 If you’re a big fan of nature and birds, our September ride is for you. Each year, along with some winery stops, we visit the Holiday Beach Conservation Area for their Festival of Hawks. Holiday Beach was listed by Audobon Magazine as the 3rd best place for hawk watching in North America and visiting during hawk migration is a site to behold, so be sure to bring your binoculars. Heck, even if you don’t see many, just going to the top of the birding tower and taking in the beautiful marshlands is worth it. Have you already experienced a Wine Trail Ride for yourself and have other reasons to add to the list? Leave a comment below or leave a review on TripAdvisor! 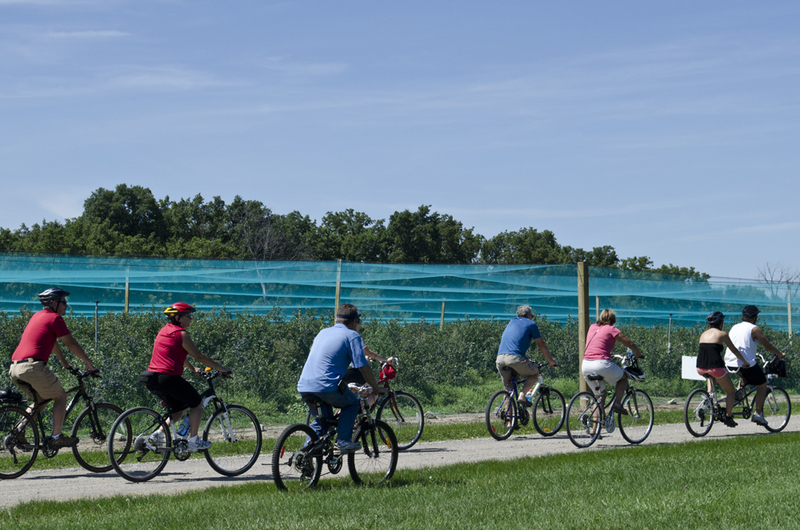 If wine and/or the countryside isn’t your thing, we also have a Bikes & Beers cycling tour that takes place within the city of Windsor as well as several walking tours. We’ll post those Top Reasons lists starting next week.